Velia lies about 15 miles south of Paestum and was founded as a Greek colony around 540 b.C. Here you can see a series of public buildings and monuments from the Greek and Roman eras including one of the rarest Greek roads still crossing all the city, a large fourth century b.C. arch as well as second century a.d. Roman baths with mosaics and a theatre. The ruins are scattered across the plain and the Acropolis, in a dominant position on the sea. 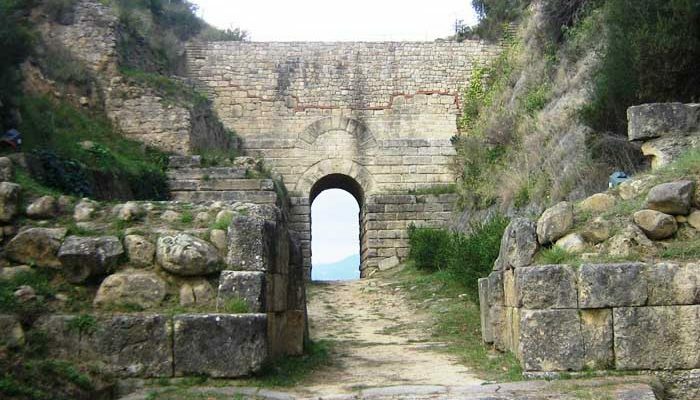 Today the archaeological site contains a wealth of ancient ruins as well as medieval ones. This is not only an archaeological tour, but also a nice walk through the Mediterranean vegetation. The tour in Velia takes about 2 hours, walking on a footpath along the slope of a hill.